Chinese President Xi Jinping vowed to get 300 million of his people "on the ice"
2017 USA Hockey Report - Growth of Hockey Achieves All-Time USA Hockey Record! 300 million of his people "on the ice"
After China won its bid to host the 2022 Olympics, President Xi Jinping vowed to get 300 million of his people "on the ice," an initiative to encourage winter sports. Energy tycoons in China and Russia quickly made a deal to create Beijing's first professional hockey club, and Russian President Vladimir Putin visited Beijing for the signing ceremony with Xi last June. Kunlun Red Star was born — the first Chinese club to join Russia's premier KHL league. ​China plans skiing, skating drive for 2022 Winter GamesChina wants to get 300 million citizens involved in winter sports by the 2022 Beijing Winter Olympics and plans to encourage them by building more than 500 ice skating rinks and 240 ski slopes over the next six years, the government said. ​China’s winter tourism industry is on track to more than double in size by 2022, according to a new report by the China Tourism Academy. 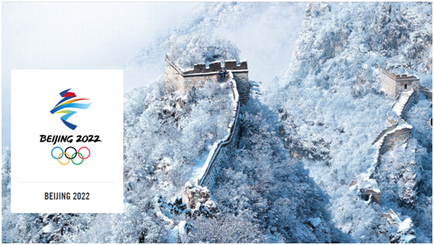 The report estimates that the number of winter tourists will increase from 170 million to 340 million over the next four years, and that the industry’s revenues will rise from 270 billion yuan ($41 billion) to 670 billion yuan ($102 billion). 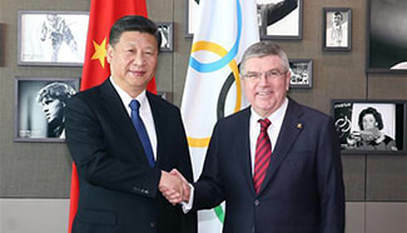 The Beijing 2022 Winter Olympics will be a two-week sporting event and a culmination of a multi-year campaign to promote leisure, recreation, and domestic tourism. Hockey is a rapidly growing sport in China, backed by the government and influenced by the Russians. After entering the KHL, China, the host of the 2022 Winter Games, hopes to be a player on the international stage. Along with promoting the Winter Games, Xi's administration has set a goal of transforming underperforming China into a major football power by 2050 through a massive youth development program. Growth of Hockey Achieves All-Time USA Hockey Record! USA Hockey reports that they have achieved an all time hockey record for membership for 2016-17. The number of total players, coaches and officials achieved a record 637,744 and the number of Non-Participants achieved a total of 515,996. Combined totals were a grand total of 1,153,740. USA Hockey is recognized by the International Olympic Committee and the United States Olympic Committee as the governing body for organized ice hockey in the United States and is a member of the International Ice Hockey Federation. USA Hockey’s primary emphasis is on the support and development of grassroots hockey programs. Its cutting-edge American Development Model, which was launched in January 2009, provides associations nationwide with a blueprint for age-appropriate athlete development. The Alibaba Group Olympic Games showcase is an interactive, future-looking experience that shows fans, athletes, organizing bodies and fellow Partners Alibaba’s vision for a future Olympic Games. “Our long-term partnership with the Olympic Games is the ultimate showcase for Alibaba, both in terms of what we stand for as a company and how we can use our technology to reimagine the Olympic Games for the digital era,” said Jack Ma. “The IOC is entering a new era of digitalisation which we are doing in partnership with Alibaba,” said IOC President Thomas Bach. 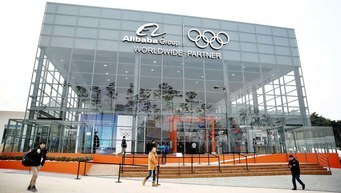 “Alibaba is offering us a unique platform to expand the appeal of the Olympic Games and to keep our fans close. Alibaba Cloud ET Sports Brain is Alibaba’s integrated solution and platform for powering the future of sporting events. It enables various stakeholders to leverage cloud technologies to deliver the future of sports events in a secure, stable and cost-effective manner and to provide fans with a convenient and engaging experience. ​Although being awarded the Olympics was impetus for the Chinese government to pour resources into hockey, it’s getting some help from the private sector in the form of Zhou Yunjie, the chairman of metal can manufacturing company ORG Packaging. The goaltender-turned-billionaire is at the forefront of hockey’s growth in China through NHL partnerships and sponsorships. The NBA gained popularity in China in part due to Yao Ming, the first pick in the 2002 draft. 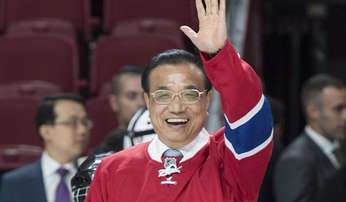 The NHL is going into China hoping to develop home grown hockey stars. 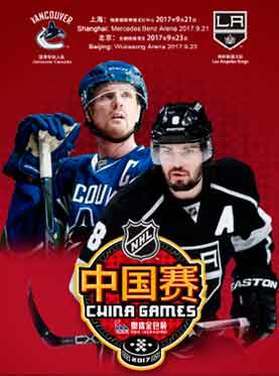 The NHL looking at China as hockey’s next great frontier. With the 2022 Winter Olympics in Beijing, China is eager to step up its game and the league is intrigued by the potential of a new non-traditional market with 1.4 billion people that might take to hockey like it did to basketball. According to the International Ice Hockey Federation, China only has 1,101 registered players and 154 indoor rinks. Despite having a quarter of China’s population, the US has 543,239 players and 1,800 indoor rinks. About 200 Chinese hockey families currently live in North America, Li said, and the return of those players, coupled with the KHL’s Kunlun Red Star’s presence and a commitment to skill development, will help the national team grow in preparation for the 2022 Olympics. With a broadcasting deal already in place to air four NHL games on state-owned China Central TV and 10-12 online through Tencent each week, his keys to the growth of Chinese hockey are players reaching the NHL and the national team competing at the top level of the world championships. Chinese broadcaster and producer Longmou Li, who has worked the Stanley Cup Final and helped families move to North America for hockey, said 500 to 600 new families are joining the Beijing Hockey Association each year, which could mean churning out an NHL first-round pick every five to six years.